AS A parent, it has always been our desire to see our children grow up responsible and show kindness in every way. With my job, I get to talk to a lot of parents and exchange with them some thoughts on parenthood, among other matters. I have observed that no matter how different we are as individuals, there is still one thing that make us alike; to have responsible and kind offspring. Maria Bianca Micaela Binag may have it all, especially the looks, wealth and influence. However, despite her social status, this 21-year-old lady has proven that she is more than just a pretty face. Being friends with her mom, particularly on Facebook, has given me the chance to get a glimpse of this young woman. 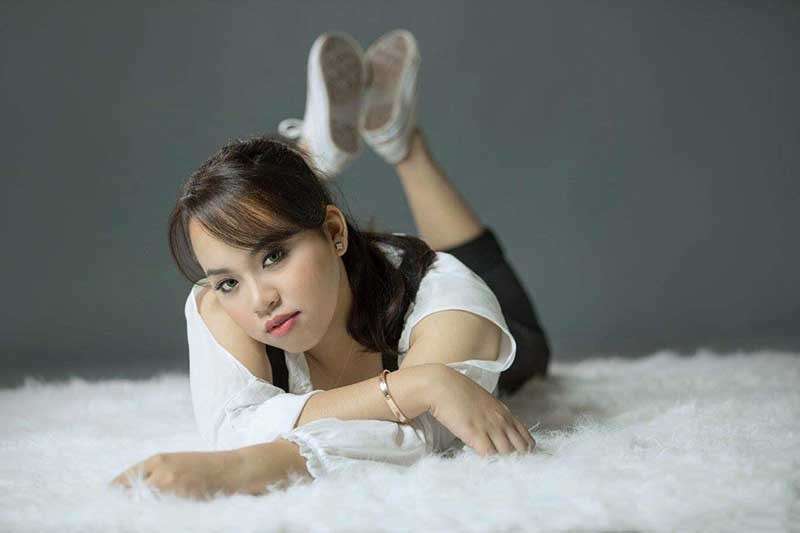 I have seen how she is as a student and as the eldest child of Cathy Binag, the famous owner of The White House Fusion Cuisine and Wine Lounge. Bianca, who has been an active officer of several school-based clubs and community works, really got me interested of her story. The goodness of her heart, her being hardworking (she bakes and sells goodies even if she can easily ask for money from her mom), and simplicity are among the traits I want other children to emulate. Fashion Nook: How would you describe yourself? Bianca: I can describe myself as a happy-go-lucky person because I like living in the moment. 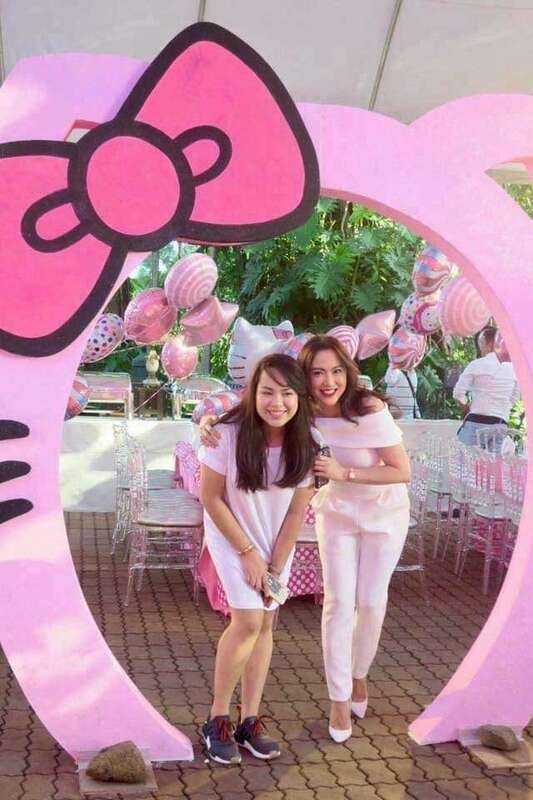 FN: How is it being the daughter of The Cathy Binag? Is it difficult or is it more of being an advantage? Why? Bianca: It’s actually both. It’s difficult because I tend to put myself in a lot of pressure because I want to be like her and make her proud and meeting her standard. It’s an advantage as well because I get to learn a lot of things from her especially about life’s challenges, humility, helping those who need it the most because we are blessed with a comfortable life and to always keep my feet on the ground. FN: How is it being a daughter of a fashion designer and fashion icon? Do you feel any pressure about keeping up with your mom’s flawless fashion sense? Bianca: YES! She has this girly and clean fashion kase. Tapos sa skin niya super alaga niya while I, on the other hand, get lazy on all these things. Though my mom is simple as well pero yung kanya is elegante pa rin. FN: How would you describe your own fashion style? Bianca: As what I have said, I am moresimple. I go out with pants and a shirt and I am good to go for the day. Pero if necessary talaga na to clean up and dress well, I do my part since di na siya ganyan din kahirap matuto magbihis ng maayos given that I have my mom always pag dating sa mga kikay things. FN: What is it that you think you got from your mom? Bianca: My love for cooking, how I do not keep grudges from people no matter how wrong they have done me. I sing pretty well so my voice since maganda boses niya! And physically my eyes. Also, my love for dogs! FN: I know that you are also a kitchen goddess because of your cooking and baking expertise. How did you discover such talent? How were you able to develop it? Bianca: I never knew I have a grip of all these until my mom enrolled me to a culinary school since I was so undecided on what course I was going to take in college. Over the time I was studying and learning pastry, I realized that I can actually do it, that I can actually cook and put my style in the dishes that I try to create. My mom was my number one critic. Whenever I bake something new or cook a dish, I will always ask her point of view because her palate is really good. That is why I learned to develop cakes which are not so sweet so it’s safe for our grandparents. FN: Many people may envy you because of you social status, how do you manage that? Bianca: Well you know for me, envy is a person’s number one downfall and I do not actually see myself or think of myself as someone who has this “social status”. So, I do not really mind those people who have something to say about me. Kase usually the people who talk a lot about you are those who do not actually know you. I live my life the way I want it to be. Growing up, I was disciplined by my family that I cannot have whatever I want because I need to work for it. I guess that’s what people should know. You need to work in order to achieve whatever it is that you want to achieve. FN: What keeps you busy these days? Bianca: My acads since I am (hopefully) graduating this April and school organizations. Also, my online pastry shop, which is Pastry Temptation, and sometimes White House, when my mom approves of my events. FN: How would you describe yourself as the eldest daughter of Ms. Cathy? Bianca: I do not know (hahaha). But I guess as the eldest among the five of us, I tend to be very concerned with my siblings and as much as possible, know what’s going on with their lives. FN: How do you maintain such an admirable relationship with your mom and the people around you? Bianca: I try to relate with people especially with those who I think need some advice, and as a person kase I’m very open and straightforward. So if you are my friend, I will really tell you if you are being stupid or not. As for my mom, honesty and openness is the key. To you, Bianca, continue being an inspiration just like your mom. May you never stop helping those in need. Thank you so much for granting this interview. Good luck in everything that you do!